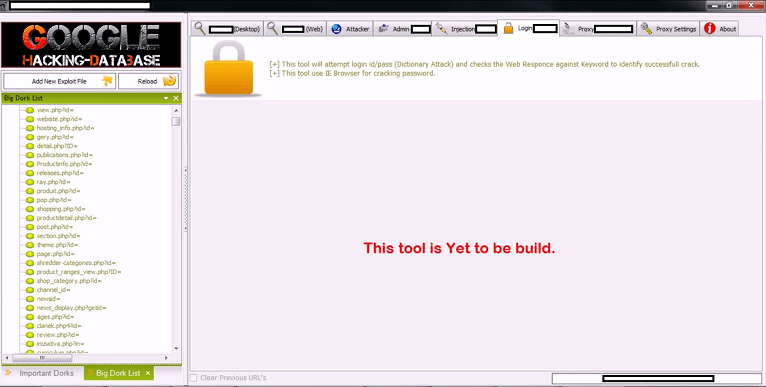 A new version of DIY Google Dorks based hacking tool has been released, it is an extremely useful tool for reconnaissance of targets. Using more complex queries an attacker could obtain a series of information on the status of the target, for example to discover if it has been already “backdoored” and discovery which are the vulnerability that can potentially affect the system. The Google hacking database provides various examples of queries that can help a hacker to find vulnerable servers, to gain information on the target, to explore sensitive directories finding vulnerable files, to find password files or to find sensitive online shopping info. The above dorks are just simple examples of the power of these search strings, just after 10 minutes playing with them user has the perception of the infinite possibilities that Google provides to an attacker. Now imagine a single DIY Google Dorks based hacking tool that allows to automatize all this queries, without having particular knowledge on Google dorks … it’s the hacker heaven, what do you think about? The DIY Google Dorks based hacking tool proposed by Dancho Danchev offers a complete suite to automate the process of remote inspection of targets and their exploit, the instrument works on desktop and could be also integrated with popular browsers to fool the search engines into thinking that generated traffic is legitimate traffic. The price for the DIY Google Dorks based hacking tool is very cheap compared to the advantage deriving from its use, one license costs $10 to pay using the Liberty Reserve currency, or $11 to pay using Western Union transfer. The license are linked to specific host due a hardware-based ID restriction, but the authors also offers an unlimited license for $20 in Liberty Reserve, or $20 in Western Union transfer. 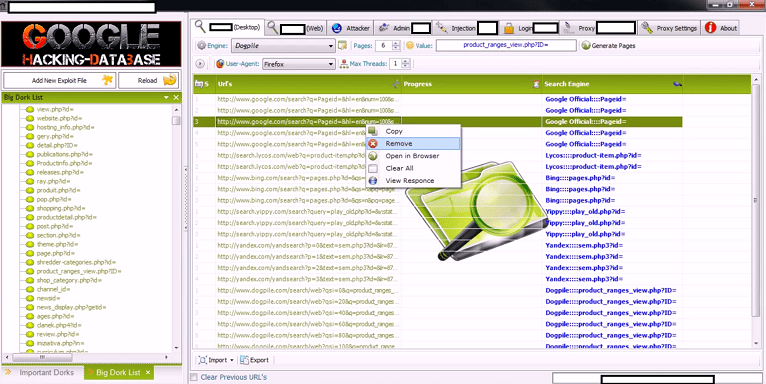 Use of search engine reconnaissance through DIY SQL/RFI (Remote File Inclusion) tools or botnets, the category includes a wide range of application that automatically exploit improper configured websites such as blogging platforms or well known CMS. 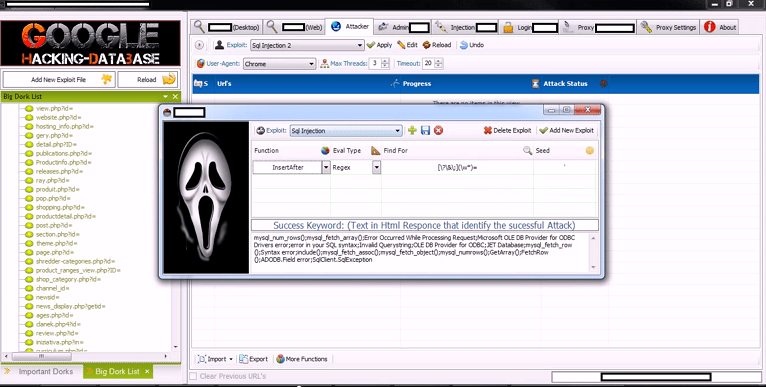 Use of data mined or purchased stolen accounting data, cyber criminals could gather information on malware infected machine, looking for login credentials to be automatically abused with malicious scripts and actual executables getting hosted on legitimate websites in an attempt to trick a security solution’s IP reputation process. Active exploitation of server farms – criminals try to infect the larger number of low profile websites as possible, a common practice observed by security researchers is the exploiting of servers that host large number of domains, for example using commercially available Apache backdoors. Cybercrime underground is in offering all necessary to organize a fraud without having particular knowledge of various technological platforms (e.g. Mobile) and proposing a new efficient model of sales such as the FaaS… it is crucial to follow the black market evolution to avoid shocking surprises.